RHP Training Centre is pleased to welcome Guillaume Rheault to our dedicated team of professionals. 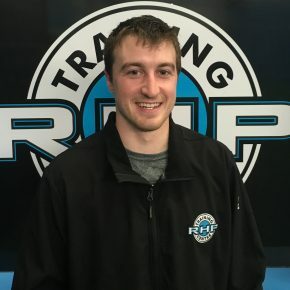 In his new role, Guillaume will be available to share his knowledge and passion as a member of our Strength and Conditioning Team, our On Ice Player Development Team as well our working on Skating Development with our clients on the Blade Skating Treadmill. Guillaume has attended both Collège Boréal and Laurentian University, where he has obtained a Health & Fitness Sciences Bachelor’s Degree (EDPH) on top of a Health & Fitness Promotion Diploma. After college, he received his personal training certification through the Ontario Fitness Council and is now certified as a Registered Health & Fitness Practitioner. In his first year of high school, Guillaume developed a passion for physical activity, hockey & weight lifting in particular. After playing competitive Midget hockey in his hometown of Hearst, he went on to play at the Junior A level for the Abitibi Eskimos & the Sudbury Nickel Barons in the NOJHL. 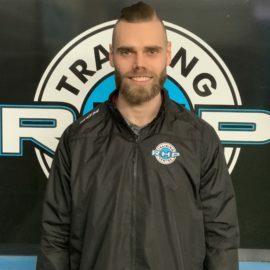 Wanting to stay around the game of hockey once his player days were over, Guillaume certified himself as a Level III Hockey Trainer and was part of the 2017/2018 Nickel City Sons Minor Bantam AAA Club, assuming the role of On Ice Trainer and Off Ice Conditioning Director. Upon graduating from university, Guillaume worked as a personal trainer for a local gym corporation. Working with various types of clients and having dealt with many different injuries himself in the past, has motivated him to become a major advocate of proper movement execution. He has dedicated himself to continuously learn and study functional bio-mechanical human patterns in order for him, and his clients, to perform better, faster, pain free. 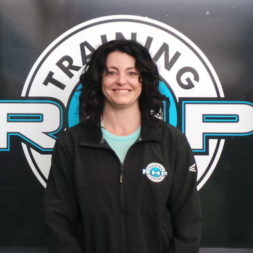 Sue Beaudoin comes to RHP Training Centre as a veteran of the fitness industry with over 27 years of experience. Teased as result of being skinny in her teens, Sue gravitated to the gym. By gaining muscle, she believed the teasing would stop. What she didn’t expect was that this would turn into a lifelong passion. With a newly gained self-confidence and personal growth, she made the decision as an adult to help others on their journeys to health and happiness. 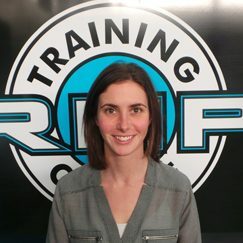 She is CanFitPro Certified as a Group Trainer, in addition to numerous other certifications. Sue is an accomplished instructor in Kickboxing, TRX, BootCamps, Hiit, Pound, Zumba, Strength Training and stretching. She is also a Certified Children Coach and is a Zumba Kids instructor. Sue is passionate about teaching healthy habits at an early age to the youth. In addition, Sue is a Registered Nurse and Basic Life Support Instructor. I am an energetic and enthusiastic individual who has a zest for life. I ask my clients to share their fitness journey with me and allow me to help them achieve their goals. Come and train with me! Trent Blanchard is a well decorated Powerlifter that has been training and competing for the past 6 years. In that time, he has broken a total of 14 National Records in Powerlifting. He has been a Provincial and National Champion and has taken home the gold medal at the North American Powerlifting Championships. Trent also competed at the 2016 IPF World Championships where he won the gold medal on the squat, and bronze medal overall. Trent is a graduate of the Strength and Sport Conditioning Program at Canadore College in North Bay. In addition, he has been an instructor with DTS Powerlifting Certification. 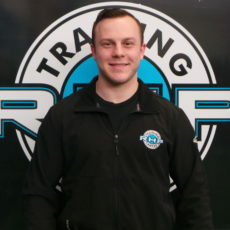 Trent is looking forward to welcoming clients to his new powerlifting classes at RHP Training Centre! Trent has experience training athletes in the NHL, AHL, OHL and CFL. His attention to detail coupled with his knowledge and passion will help you in your quest to be faster, stronger, and healthier. Dana is a Registered Kinesiologist from Timmins, Ontario. Growing up in an active family, Dana was a Dancer for 18 years, and participated in many other sports such as Soccer, Golf, Basketball and Volleyball. Her love of sports made her decision to attend Lakehead University easy where she received her Honours Bachelor Degree in Kinesiology. 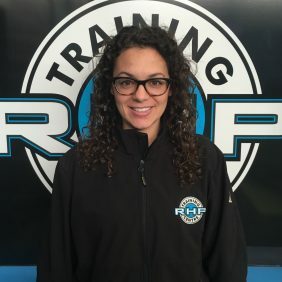 Dana has experience strength training hockey teams and loves working with all types of athletes to help them meet their maximum potential. As a registered Kinesiologist, Dana has helped Motor Vehicle Accident and WSIB patients re-strengthen and rehabilitate injuries sustained in car accidents or workplace accidents, as well as rehabilitated many patients who have sustained various musculoskeletal injuries. Dana is a Certified Shift Concussion Management Provider and has had great success with the program thus far. Dana is also certified in Soft Tissue Release Technique as well as Sport wrapping and taping. In addition, Dana recently obtained her Brand X Method Certification. The Brand X Method is a comprehensive, next-generation fitness framework designed to deliver physical literacy over the life course, preventing injuries, improving sports performance, and keeping you active and engaged for a lifetime.